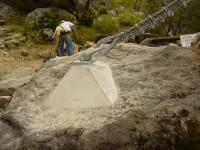 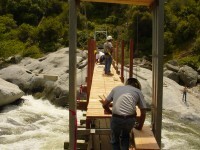 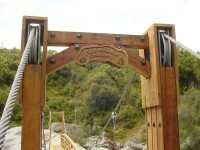 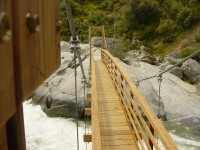 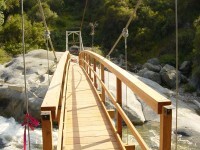 Potwisha Suspension Footbridge • MCS Construction Inc. 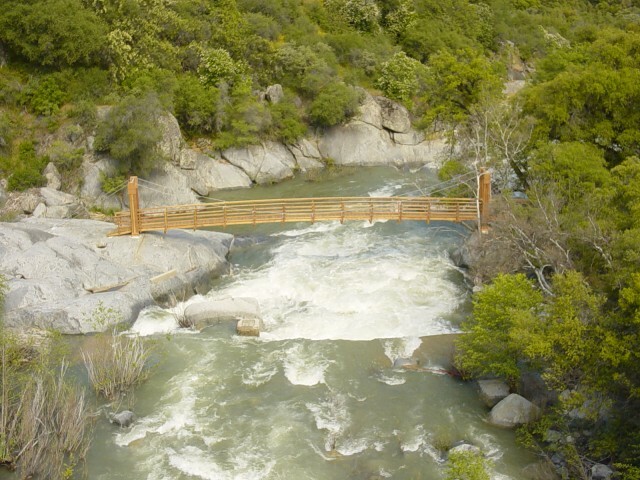 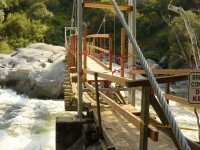 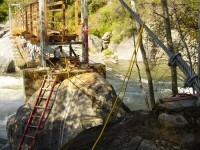 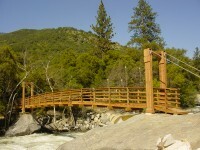 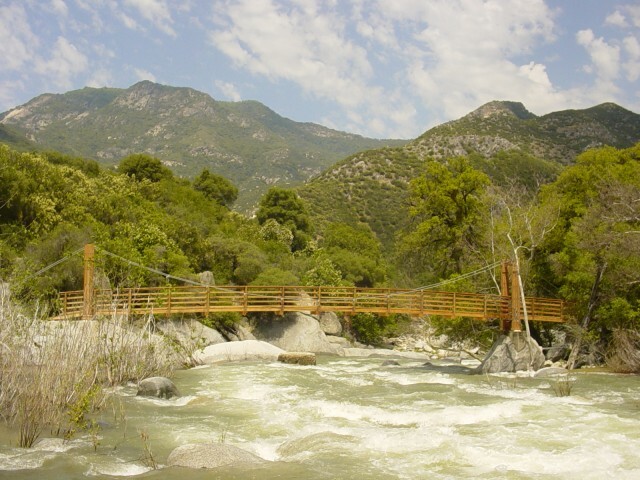 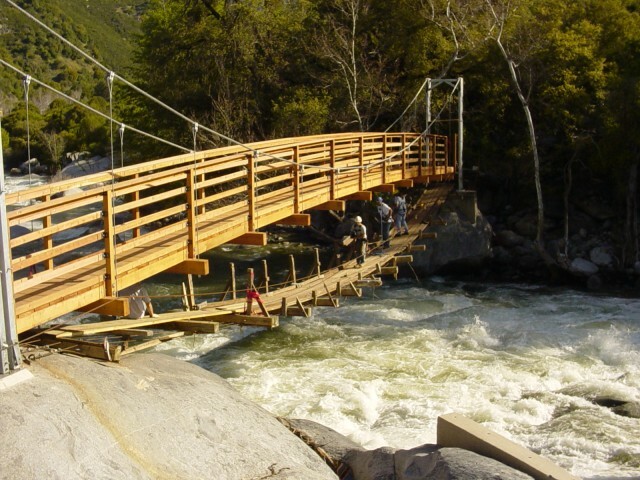 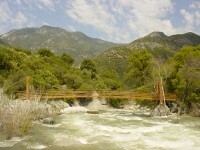 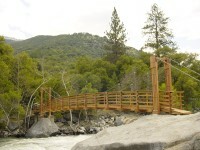 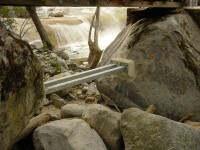 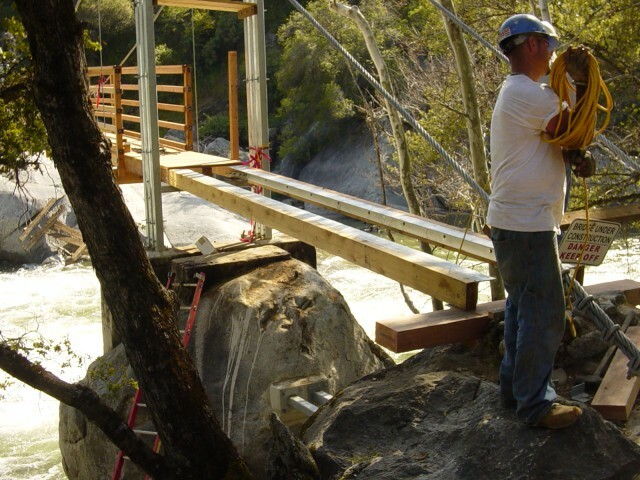 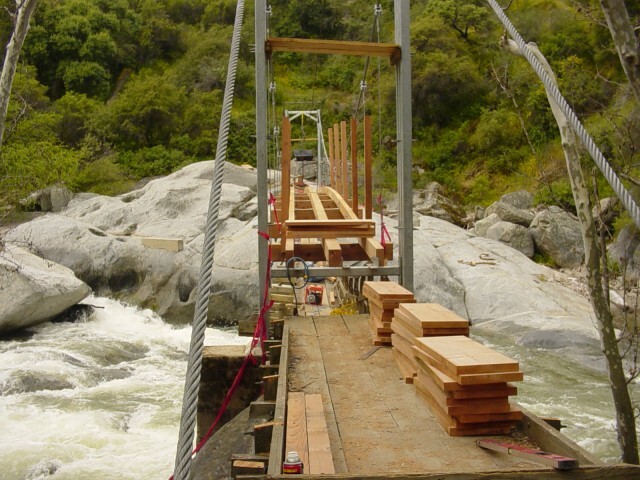 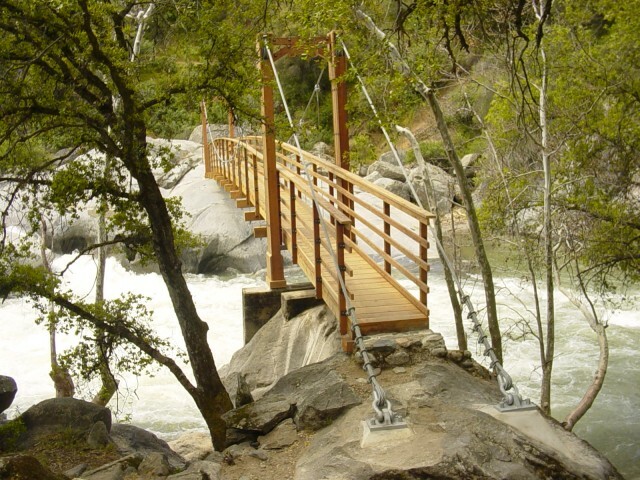 Located inside the Sequoia National Park, the Potwisha Footbridge was constructed to allow a Safe access for the public across the Kaweah River. 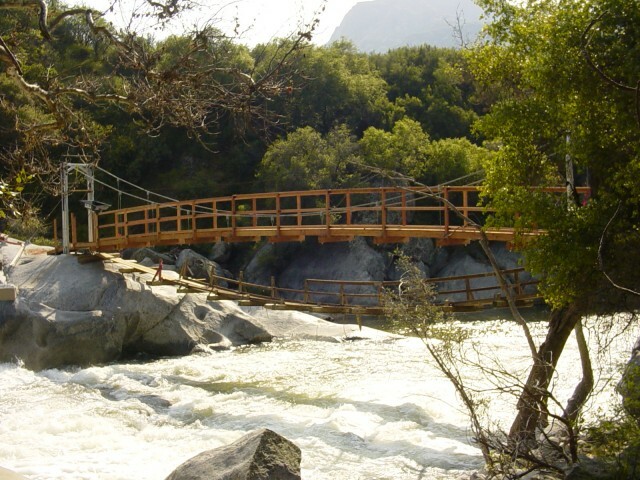 The bridge and adjacent campground were named after the Potwisha Native Americans who lived in the area until the late 1860’s. The tribe of more than 2,000, lived in the area for close to 500 years. 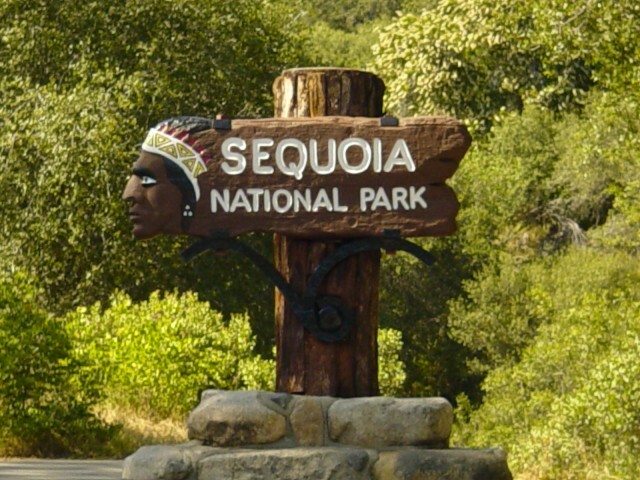 Today, evidence of the tribe is still visible of ancient rock paintings, pictographs and bedrock mortars that were used to crush acorns. 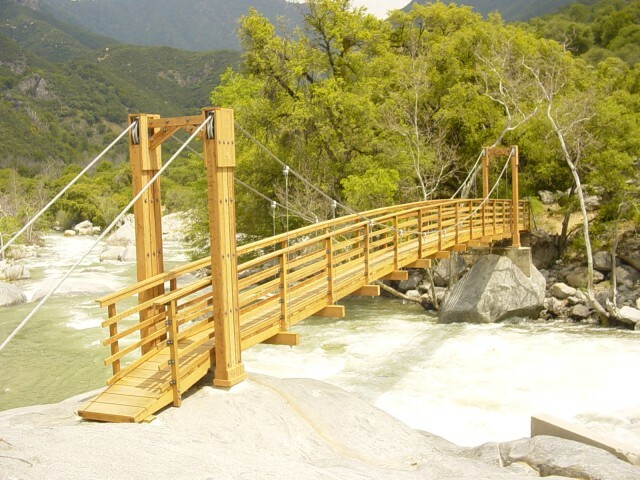 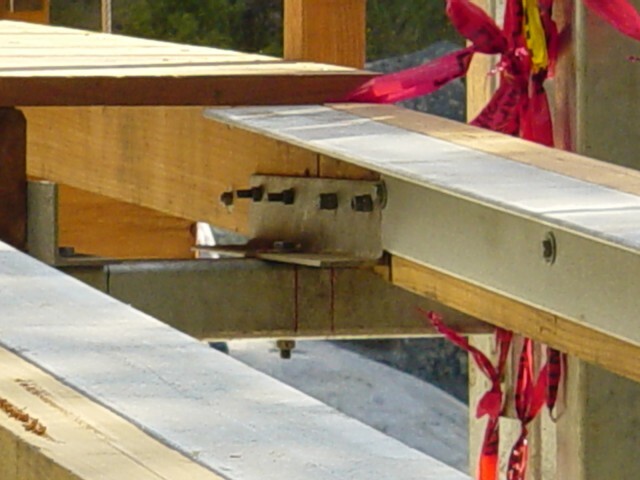 In February 2003, MCS was hired by Southern California Edison Company to replace the existing footbridge that had been damaged by debris during a rain event in the Fall of 2002. MCS contracted with Blair, Church & Flynn Consulting Engineers to design a new footbridge with a span of 135-feet. 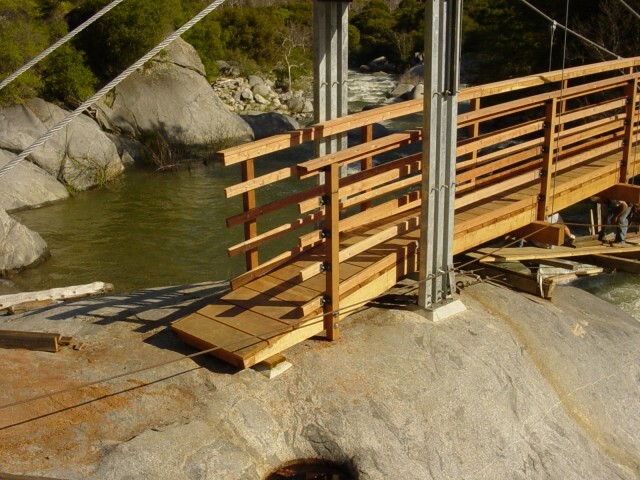 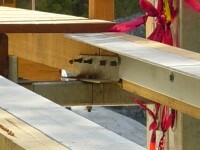 The bridge was to be designed as a segmented structure matching the strength of steel, but constructed of primarily Redwood. 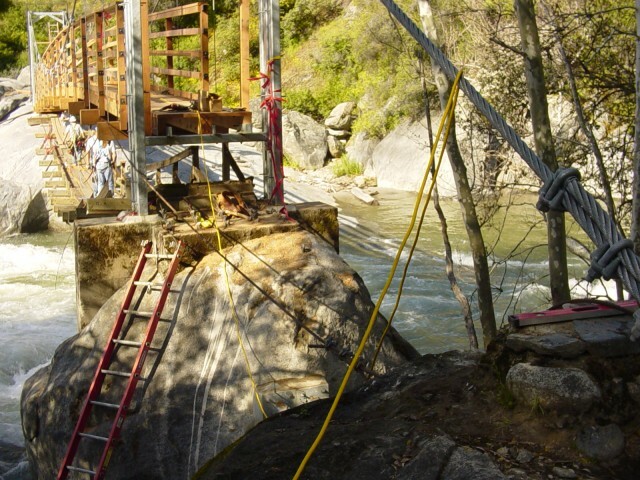 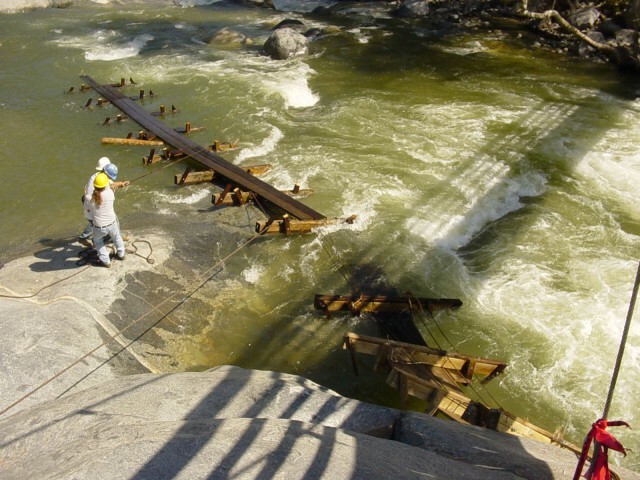 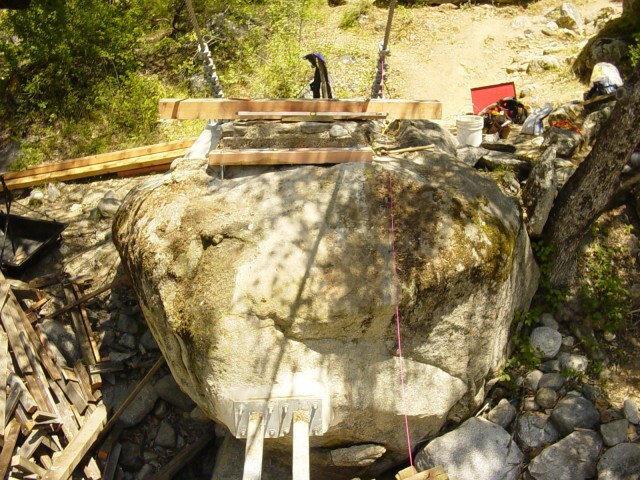 Key challenges on this project included working over an active river; materials being delivered to the site by hand because of the remote location and limited access; a timeline of only four months to complete the project, and a budget that was not to exceed $150,000.00. During construction, crews were able to use the existing footbridge as a platform until the new bridge was completed. 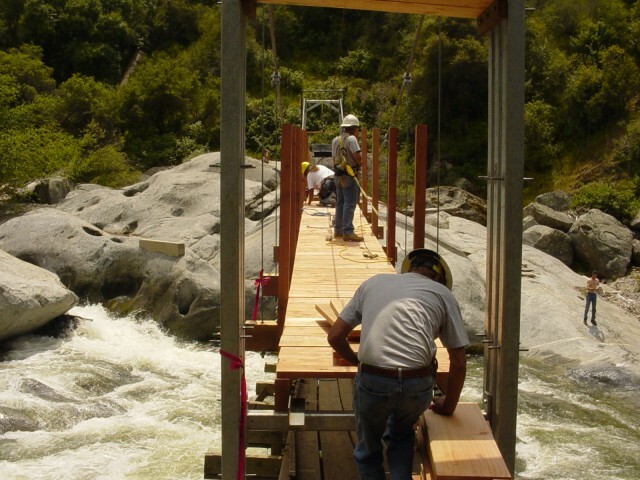 In the end, the project was delivered on time and under budget by 10%.